We all know that as a man, an essential EDC item is a decent knife. It should always be on your belt, or in your pocket. It’s not only an essential survival item, but it is an item that you will use on a daily basis. It’s even better when said knife is a survival kit in and of itself. Introducing the Thunder Knife 5-in-1 Survival Knife! Built by Arrive Alive the Thunder Knife is an essential survival tool that might just save your life one day! 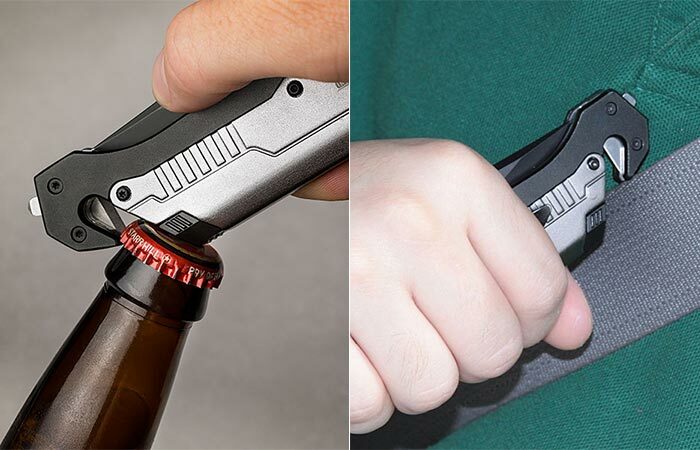 The seat belt cutter doubles as a bottle opener. The Thunder Knife is constructed out of anodized aluminum and it also features a 420 stainless steel blade. Meaning, that no matter what punishment it goes through, it will never tarnish. As for the survival tools, it’s quite impressive. It comes with a built-in seatbelt cutter, and an emergency LED light. It also comes with a glass breaker and a magnesium Firestarter. This makes it perfect for camping and emergency situations. 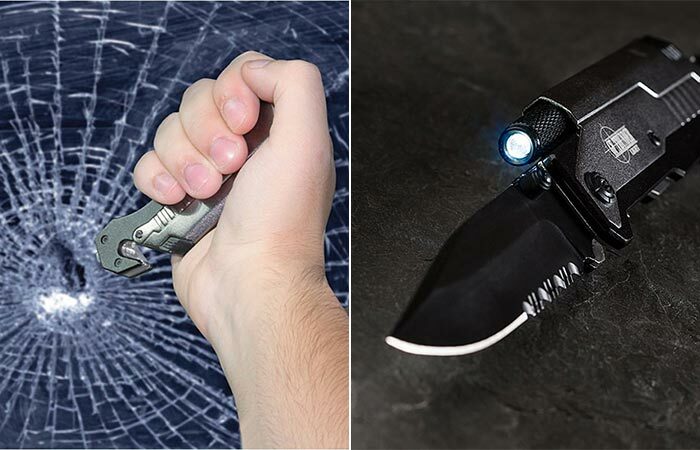 The glass breaker will get you out of your car in a jiffy, while the LED flashlight will never leave you in the dark. It also uses 2 x LR621 button cell batteries for the flashlight. This allows the flashlight to function for up to 12 hours. Of course, it also comes with a belt clip, so you never leave it behind. The Thunder Knife measures in at 5” closed, and 8.2” open. It also only weighs 5.5oz. Check out our epic collection of knives here. Get it from ThinkGeek here.